Home> Resource> iOS Transfer> How to Use iPhone to Take HDR Photos? High Dynamic Range (HDR) is a special type of iPhone imaging technique that allows you to capture better, crystal-clear photos. This iPhone imaging technique aims to add an even more "dynamic range (ratio of light to dark)" to the captured pictures. To achieve this, your iOS smartphone device takes three distinct photos that are captured at different exposures and combines them into a single image that is lifelike in nature. HDR, despite being a life-saving iPhone functionality tool, can only be useful in certain situations. That is why it is important to understand when it is prudent to use this amazing feature. When to Use the HDR Feature and When not? HDR images contain a lot of information that you can easily work with. Unlike regular non-HDR photographs. This makes it wise to activate the HDR iPhone functionality tool whenever you intend to carry out some image manipulations using reputable and highly sophisticated third-party smartphone or PC programs. Large landscape photographs are normally characterized by their high contrast, especially between the land and sky. You can capture sophisticated photos that easily reveal the land's detail without making the sky appear darker and vice versa while using the iPhone functionality tool. The iPhone HDR functionality tool can be used to take great photos even when shooting in lowly lit environments. This is because the beneficial tool can easily brighten the subject's foreground without necessarily distorting the other well-lit image portions. Activating the HDR feature manually is guaranteed to turn off your iPhone's inbuilt flash and vice versa. This makes it literally impossible to use both features concurrently. You are likely to take blurry photos when you are using the HDR feature to take photos of mobile subjects. This can also be the case if you unwillingly shake while taking a photo of a still subject. You can decide to either hold your iOS device still or use a tripod stand to avoid this from happening. The HDR feature has been proven to somehow wash out the quality of extremely vivid colors. This makes it a bad idea to use the functionality tool in such scenarios. There are two distinct ways that you can use to capture HDR photos with the iPhone. The inbuilt iPhone High Dynamic Range functionality tool allows you to capture crystal-clear, lifelike images with your iOS smartphone. However, it is important to note that there may come a time when non-HDR (regular) images are better and even more appealing than HDR ones. In such cases, having two versions of the same photo (HDR and non-HDR) can be a great idea. You can easily set your iPhone to save both versions of the captured images by opening your smartphone's settings app, selecting the "Photos & Camera" section and turning on the "Keep Normal Photo" option. Congratulations! Now you can proceed to enable the HDR feature using the following simple steps. Step 1. Launch your iPhone's stock camera and tap on the "Options" button. Here, you will be provided you with the ability to toggle either the "Grid" or "HDR" features on. Simply tap on the HDR option to activate the beneficial iPhone functionality tool. Step 2. Once you have activated the High Dynamic Range functionality tool a yellow box with the "HDR" initials will appear right at the bottom of your iPhone's screen. Now you can proceed to capture your HDR photos with the peace of mind of knowing you also have the non-HDR versions of the images saved too. It is no secret that the iPhone's inbuilt HDR feature is slightly limited in terms of functionality. This makes it even better to install a third-party app that can help you take even better High Dynamic Range photos. You can visit the App Store to download reputable HDR apps, including Simply HDR, HDR FX Pro, Pro HDR, HDR Camera+ and vividHDR among others. Most of these HDR apps do more than just capturing crystal-clear High Dynamic Range photos as they can also be used to perform various image manipulations including adding HDR effects on regular non-HDR photos. You can now use either your iPhone's inbuilt HDR functionality tool or any other third-party app to capture interesting, crystal-clear High Dynamic Range images. Obviously, experimenting with various angles and settings is also guaranteed to help bring out your hidden creative side while helping you take unique, breathtaking photos with your iOS device. 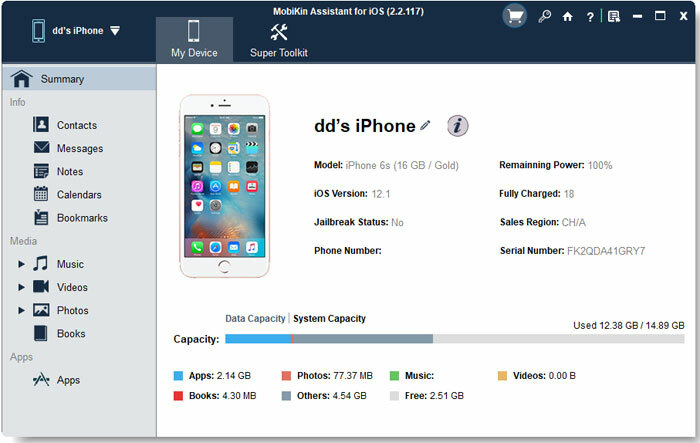 And in the end of the article, we also like to recommend a powerful assistant program - MobiKin Assistant for iOS for you. With it, you can easily and quickly export these HDR photos from iPhone to computer for backup, sharing or viewing as you like.